Standard Life Aberdeen and its partner Tianjin TEDA International have gained permission for their jointly run Heng An Standard Life (HASL) business to operate in the country's pensions insurance market. The firm becomes only the ninth pensions insurance company to be granted permission to operate in the country, and will be the first to do so using a joint venture. The Scottish asset manager said China has long been identified as a strategic market for the company and approval for HASL reflects the "strength of the proposition and the relationships the company has built in the region". Standard Life Aberdeen, based in Edinburgh, manages more than £551 billion of assets and has offices in more than 50 countries with 6,000 staff. It has been in China since 2003 and the Heng An venture sells health and life insurance among other savings products. Its main office is in Tianjin and its distribution network covers eight provinces and more than 80 cities. Keith Skeoch, chief executive of Standard Life Aberdeen, said: "As the pensions market in China looks set to go through fundamental reform to meet the challenges of an ageing population, Heng An Standard Life is exceptionally well positioned to support pension savers in this important market." 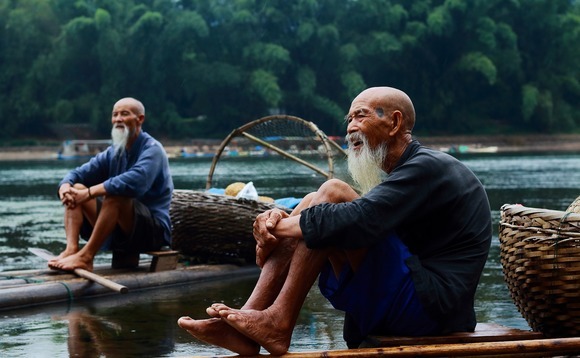 In China, over 250 million people are expected to be over 60 by 2020.